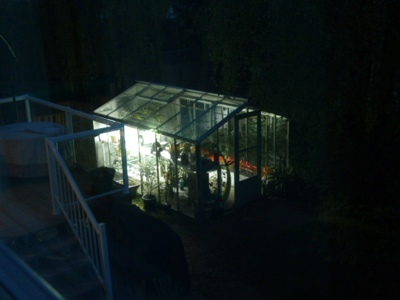 My Home and Garden: The greenhouse at night from the bedroom. I stop every evening and look out the window. This is what I look at. It's like I can't bear the sun going down and being inside.